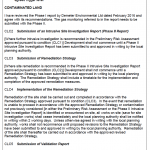 In order to support the application for the erection of nine dwellings a Phase I Desk Study report was required to determine if the site had the potential to be impacted by elevated levels of contamination and to determine if the development could be made ‘suitable for use’. 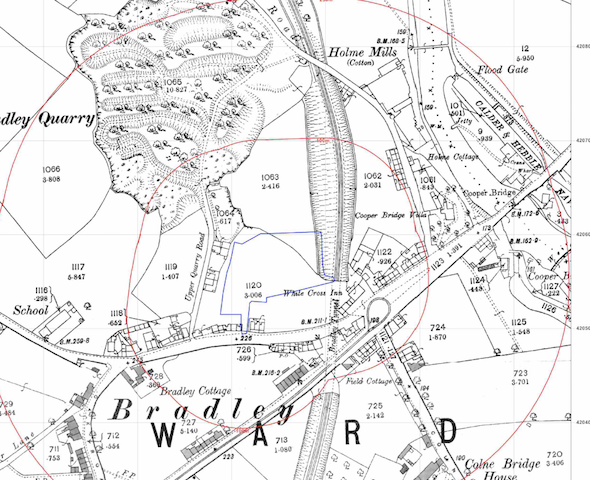 The first stage of the desk study report was to review the history of the site and its surrounds using Ordnance Survey maps from 1854, aerial plates and street level imagery. The maps indicated the site was open land until the 150’s when a number of residential garages and access were erected on the south western corner of the site. A railway line was identified ont he eastern boundary of the site from 1854 and Bradley Quarry was in close proximity to the northern boundary. Whilst data provided by Groundsure indicated a mill was in close proximity to the site, the mill could not be located on the O.S maps. Data provided by the Environment Agency id not reveal any landfills within 250m of the site. 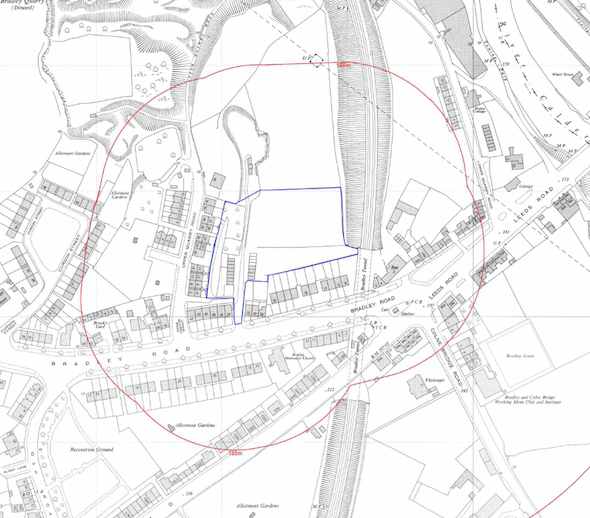 On completion of the desk based assessment a site reconnaissance visit was undertaken, which revealed that the residential garages were still present on the south western area of the site and generally the reminder of the site was open land. Cement sheeting was identified on the buildings. 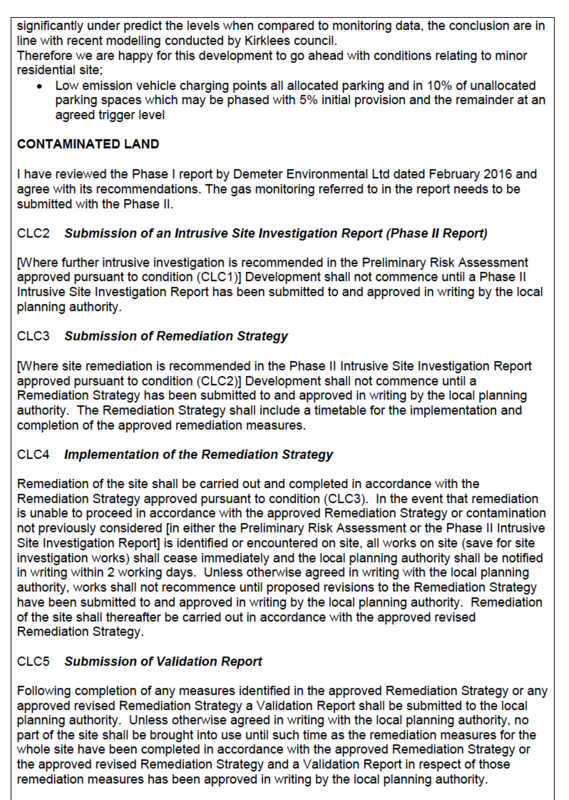 A qualitative risk assessment was undertaken to determine if the potential sources of contamination identified int he desk study report warranted further investigation, which concluded that the residential garages, cement sheeting, potential for made ground and the nearby quarry warranted further investigation. Based on the qualitative risk assessment a preliminary conceptual model was constructed and proposals for further works based on the conceptual model were presented int he desk study report. 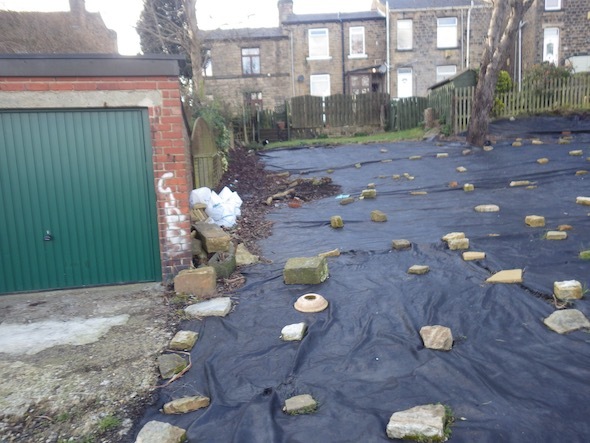 The proposals for further works were accepted by the local authority and the application was approved.